During a recent trip to Banswara, I had an opportunity to visit villages, where the Vagad Kisan Swaraj Yatra took place last year. I was surprised to see how the ten day march has initiated changes in the lives of people there. More than 7000 people walked village to village in April amid soaring temperatures and scorching heat in Banswara and took part in the ‘Vagad Kisan Swaraj Yatra’. Among them were men and women farmers, young mothers, senior school children, academics, local leaders, service providers and the village elderly. The goal of their march was to revive traditional agricultural practices and to raise awareness within the community about the importance of safe and nutritious food and environmental protection. 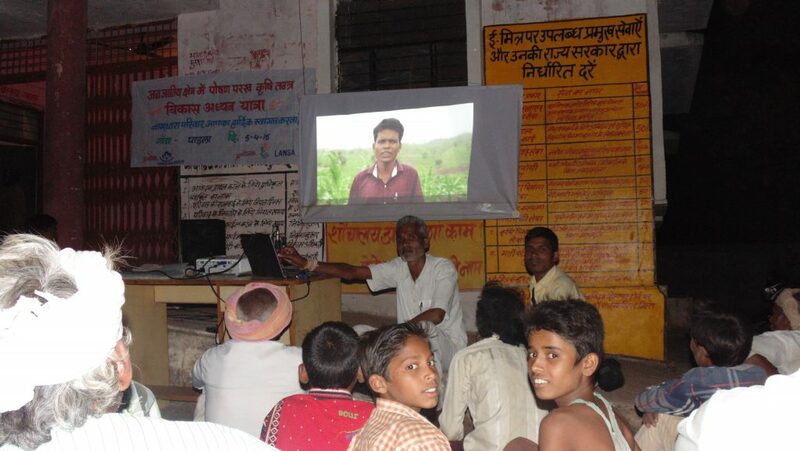 The incredible campaign covered 300 kilometers, 100 hamlets, 75 villages, 19 Gram Panchayats. The march halted at 20 locations in five blocks (Ghatol, Sajjangarh, Kushalgarh, Gangar-talai and Anandpuri) across the district. At each halt, farmers exchanged views and their experience about various traditional food items, both cultivated and un-cultivated, that were once in abundance in this area, but have vanished from the plates of the community over years. 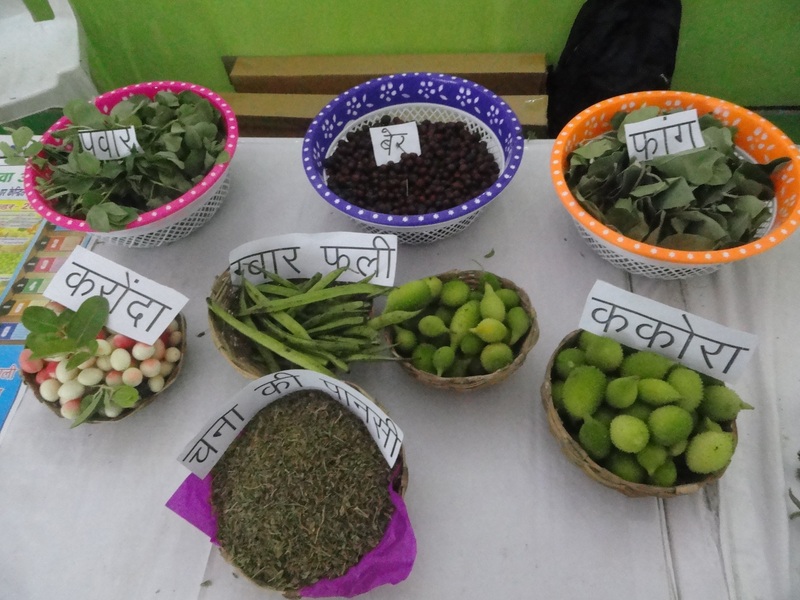 For ten days, Banswara, locally known as the ‘Vagad’ region, served as a platform for farmers to share knowledge on indigenous farming and on revival of Nutrition Sensitive Farming System. The challenges faced by farmers in Rajasthan are not different from any other states in India: Depletion of vital nutrients from the soil, contamination of farm produce, pests, health hazards and climate change. Over the years farmers have switched to crop planning based on the market demands rather than on practices and preferences of the local communities. 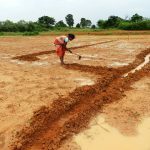 This has led to poor availability of grains and vegetables from their own farms and have increased their dependence on markets and Public Distribution System (food rations). The need for cash (money) has compelled the youth to migrate to adjoining states to work as wage labourers. 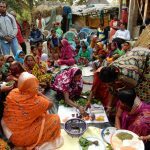 All these have impacted the dietary diversity and consequently the nutritional status of the community, especially women and children. The Vagad Kisan Swaraj Yatra was successful in creating a discourse among people, particularly farmers, on the shift in their farming practices. Through lively interactions at various levels, group discussions, street plays and exhibitions, Welthungerhilfe’s partner VAAGDHARA sensitized communities on preserving traditional knowledge and practices concerning sustainable agriculture and on understanding nutritive value of indigenous foods to eliminate malnutrition and improve food and nutrition security in their area. 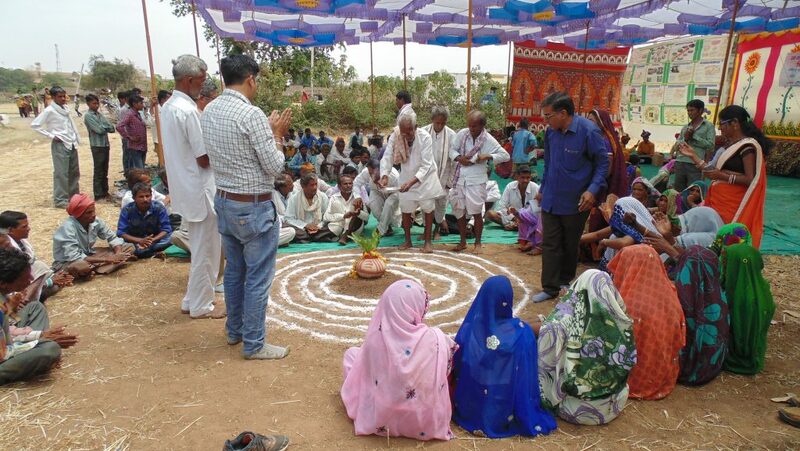 VAAGDHARA also distributed seeds of vegetables, moringa, beans and millets to farmer families. The results of the campaign began to appear fairly soon. 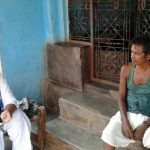 “We do agriculture for feeding us and our families, so it should be safe,” said Shantilal, a farmer of Tamatiya village, adding he has stopped using chemical fertilizers and pesticides. 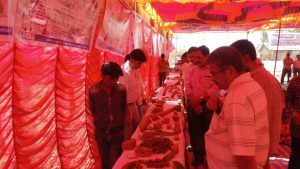 “I have saved 7500 INR in terms of input cost for farming by using local indigenous seeds and organic compost,” he said. Some farmers who collected millet seeds have already had one harvest. This has significantly reduced their hunger period and they have also stopped migrating. 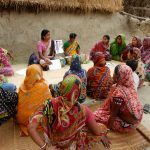 The Vagad Kisan Swaraj Yatra has laid the foundation to establishing a network of farmers, institutions, community based organisations and other agencies that can help build capacity of local farming community to take appropriate steps towards climate resilient and nutrition sensitive farming system. 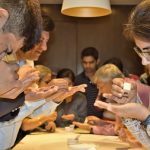 Participatory processes have been adopted to capture information pertaining to traditional foods and key challenges in their cultivation. Information generated from the community will now be consolidated in the form of PLA modules and implementation processes. They will further be tested with 30 groups (600 respondents) to bring out community driven PLA framework including food diversity and list of barriers and enablers across agriculture for promoting farming led nutrition security for wider tribal families.